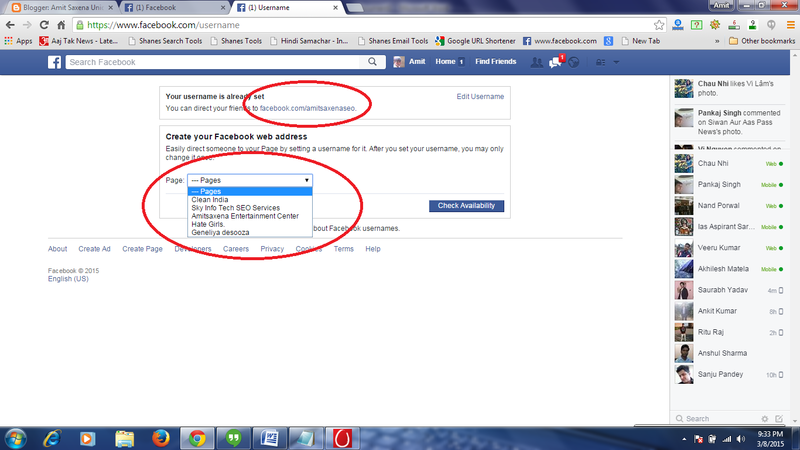 How to Set Personal Customize Facebook Page URL or User Id ? Today I am sharing with you how to set your personal Facebook page URL or User Id? I think you would always search on the internet to set your personalized unique Page URL. It is important when you create your company page or brand page because we want to set page URL with our Company name so that anybody searches easily with the company name. It is also important for SEO point of view. Search engine crawler index your Facebook URL with your company name instance and it also looks nice and attractive. so let's see here how to set custom URL. Now Some important point to set this URL. 1. You must have verified your mobile No and email ID. 3. After choosing your Facebook Custom URL you cannot edit again and again. it is done only one time. So set carefully as you wish. 5. Now I think you set very easily your wishing URL and be happy. You Might also like to read: How to Add Flipkart Affiliate Advertising on Blog?